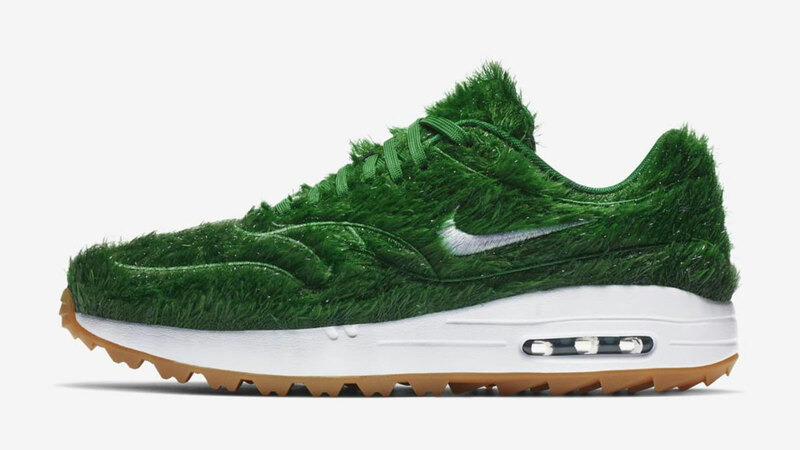 Nike is a little early for April Fool's Day, but I guess they wanted to get the Air Max 1 Golf "Grass" word out soon into the 2019 PGA Tour, and build some hype for the sneakers. Which, as far as I can tell, are real, and imminent in their arrival. While Nike has made an Air Max 1 Golf sneaker for some time, it seems they've finally caved to the pressure from golfers worldwide demanding a more authentic shoe that better represents their sport. Something that dazzles, something makes course sneaks as coveted as court sneaks. 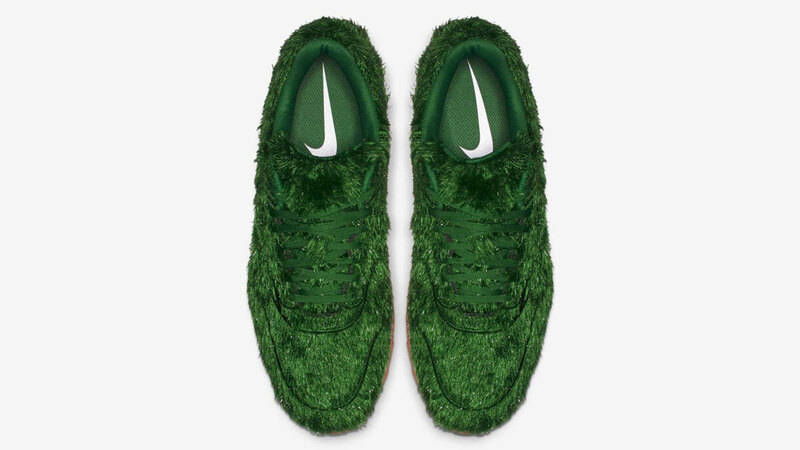 Nike presents: fuzzy green turf uppers! 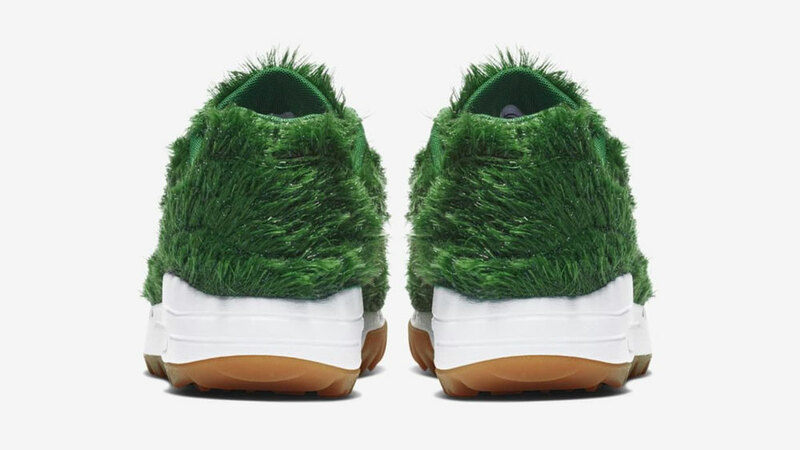 Nah, I don't know if grass sneakers are a response to the golf lobby or not. But it does seem Nike had some motivation, maybe internally, maybe externally, to get golf more mainstream attention, and from a younger audience. And, at least for this week, the Nike Air Max 1 Golf "Grass" sure does make golf stand out a little more in the shoe world. Not that this is the first time we've seen grass shoes. Cool kids and our friends down under have had grass flip-flops for years now. And despite the monolithic Nike brand being being "Grass" sneakers, I think Kusa Shoes has made a more interesting, and more realistic-looking use of synthetic grass, which line the interior sole of their sandals. For those actually interested in purchasing a pair of Nike Air Max 1 Golf "Grass" sneakers, the price will be $140. January 31, 2019 Update: It appears Nike released the Air Max 1 Golf "Grass" edition this morning, and to an immediate sell-out. You can still get some...for around 3 times retail value...here at Stockx.